Sir Madam Salon is a live art and hairdressing project which I run with Mel Balkan and Ben Fox. 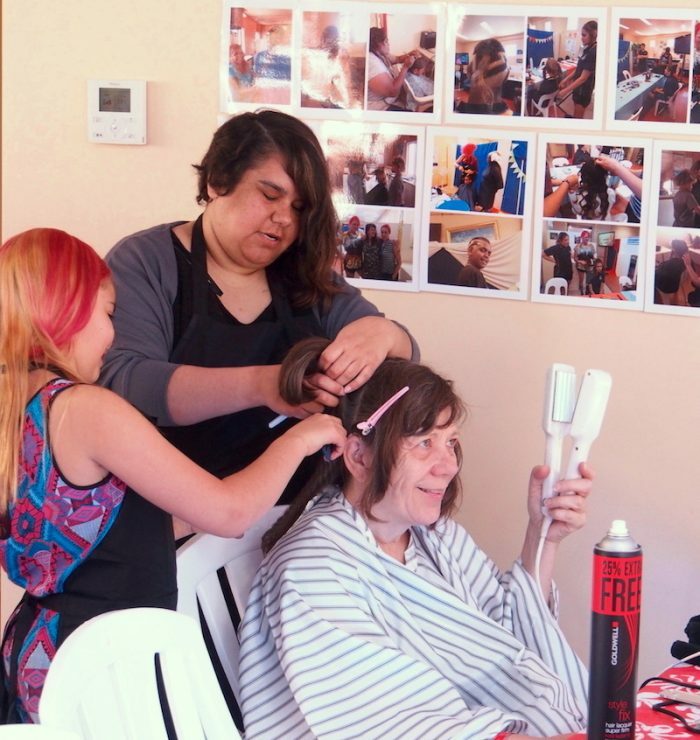 Sir Madam Salon travels across Australia to present pop-up salons as part of festivals, health promotion programs, community development events and ongoing social cohesion initiatives. We use the experimental space of styling hair to tackle some big ideas and questions. Sir Madam Salon celebrates the role of salons and barbershops as places to explore identity, gender, diversity, pleasure and inclusion in Australia, all informed by the wild style of our desert heart. For more information visit the Sir Madam Salon website.